DLB Fleet is used to diagnose the electrical system on The Industry's First High Performance Trucks®. DLB Fleet can be run on most Pentium PC's with at least 128MB (256MB preferred) of RAM, 100MB available hard drive space, and CD-ROM running the Windows 95, 98, NT4.0, 2000, or XP operating systems. The appropriate interface cable must be used to communicate with the vehicle. SOFTWARE OVERVIEW: The Industry's First High Performance Trucks® have a wide range of diagnostic capabilities. To properly diagnosis these failures, please follow the instructions outlined in this and other Internationalï¿½ manuals. 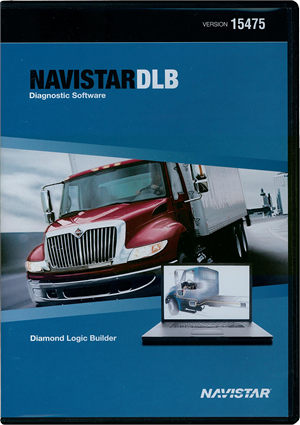 The DLB Fleet software provides the capabilities to: 1) Read and display numerous vehicle parameters in both graphical and textual format. 2) Read and display vehicle diagnostic trouble codes. 3) Read and display electronic system controller ID information. 4) Provide detailed diagnostic information on specific trouble code service. 5) Provide snapshots. 6) Provide a mechanism to play back snapshot recordings.